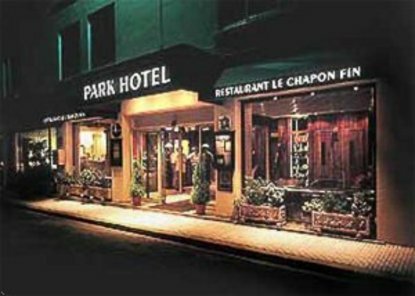 The Park Hotel offers a welcoming atmosphere in a quiet, family-run hotel. Our hotel features 68 stylish and comfortable bedrooms, an elegant coffee bar, private garage and a very fine restaurant 'Le Chapon Fin' serving first-class Mediterranean cuisine. Our rooms have a hairdryer, coffee maker, iron and ironing board, work desk and dataports. We are located across from the gardens of 'Palais Des Congres', and only a five-minute walk to the historic quarter and shopping center.